Motorola T82 and T82 Extreme: What’s the difference? 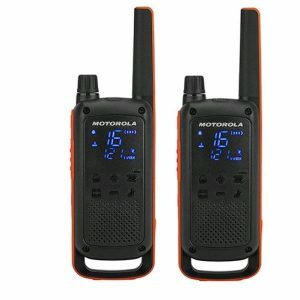 Recently at Onedirect, we have released some new radios, the Motorola T82 and the T82 Extreme. 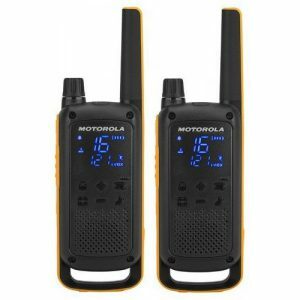 They will replace the Motorola T80 and T80 Extreme, will improved design and functions, which makes them a great choice if you are looking to purchase a new radio. 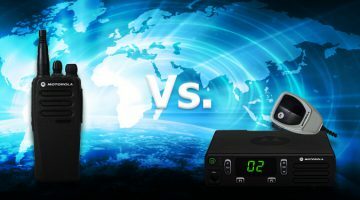 However, what are the differences between the T82 and T82 Extreme walkie talkies? In this post, we’ll analyse in detail what each radio has to offer, and which will suit you, your work, and your environment. The Motorola T82 is free to use, resistant and practical. Its ideal for professionals or for leisure activity enthusiasts. It can be used outdoors, indoors, in environments such as shops, sports centres, water parks and more! The T82 walkie talkie has all the basic features that you would expect: free communication, low price, durability and compact and modern design. You can use use the T82 without subscriptions or licenses, so the only cost you will incur is when you first purchase the radio. 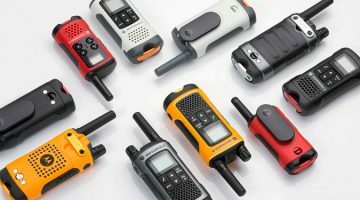 This particular radio is compatible with nearly all PMR446 walkie talkies, and benefits from free calls to a distance of up to 10km so that you can stay connected. It is water resistant, with IPX2 housing, withstanding splashes and rain. The radio is easy to program and operate, has a vibration alert, do not disturb function and iVox feature. You can also enjoy automatic voice activation and hands-free. With the T82 you can create caller groups, and this can be set up with all callers collectively. Each group member has a group identifier which displays on the screen, as well as the name of the group. It has a modern design and it’s orange stripe means that it’s difficult to lose, the handset is light and has hidden display which only lights up when you need it. The T82s come in pairs with batteries, belt clips, and personalisation stickers, to show which radio belongs to who. In conclusion, this walkie talkie is free to use, powerful and durable, ideal for outdoor and water activities, as well as for professionals and amateurs. The Motorola T82 Extreme is also free to use, but is more resistant and robust. It’s ideal for intensive use in extreme environments and in places such as airports, water parks and for security. The T82 Extreme gives you free communications because it does not require subscriptions or licenses. It’s twice as strong and water resistant than the T82 base model, with a IPX4 rating. They are designed for intensive use both outdoors and indoors. It features an LED flashlight that makes the walkie talkies suitable for working in the dark. 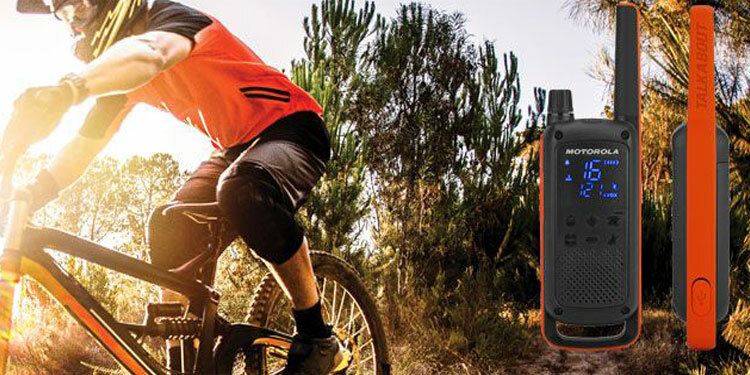 It is ideal for outdoor activities, with a range of up to 10km in optimum conditions. With the T82 Extreme, you can create caller groups, and this can be set up with all callers collectively. Each group member has a group identifier which displays on the screen, as well as the name of the group. This version has the function vibrating alert to work without disturbing and of iVOX feature. You can enjoy hands-free communication. Its compact and modern design makes it comfortable and easy to handle walkie talkie. Moreover, its yellow design will mean you never lose sight of it. It comes with a carry case containing the pair of walkies, 2 headphones micro, 2 rechargeable batteries, 2 belt clips, 2 USB dual charger belts 1 and 16 customizable stickers. In short, this is a walkie talkie free, powerful and durable use. It’s ideal for outdoor and water activities and for both professionals and amateurs. It is more rugged than the T82, so would suit more intensive use. Still want more information about the Motorola T82 and T82 Extreme? Give us a call on 0333 123 3050 for more information or visit our website!